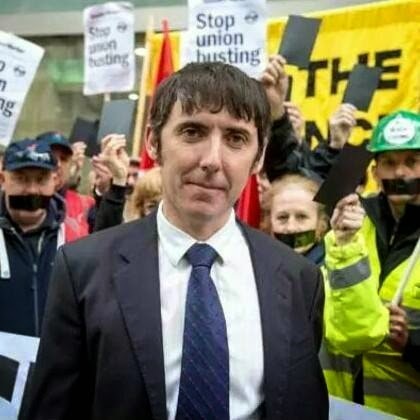 In the summer, John Sheridan resigned from his position on the Unite Executive Committee due to ill health. We would like wish John all the best for the future and thank him for all of his support. This has therefore triggered a By-Election and one of our very own, Frank Morris, has decided that he would like to stand for the position. He has received the FULL backing of the Rank & File and also the United Left. It is vitally important that ALL Unite members get to their next branch meeting to vote for Frank and make sure that there is proper Rank and File representation on Unites top table. 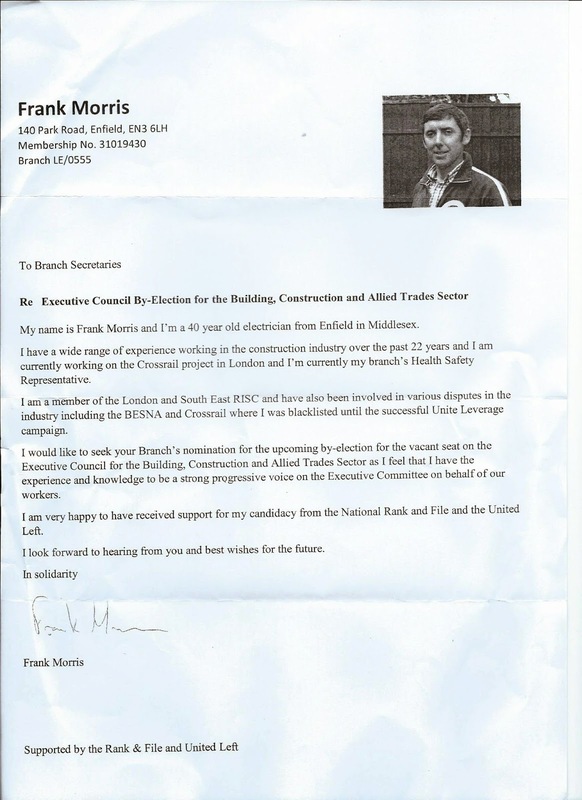 Frank is a Blacklisted Electrician and you may recognise him from the Crossrail Dispute.